Lights go out. Electrical lines are faulty. Jacks are jacked up. Power doesn’t work, and there’s no obvious reason for it. Who do we call? Electricians, because they light our days and keep the electricity alive. And, we need more of them because there’s a shortage. So, yay for you that you’re thinking of joining this profession. 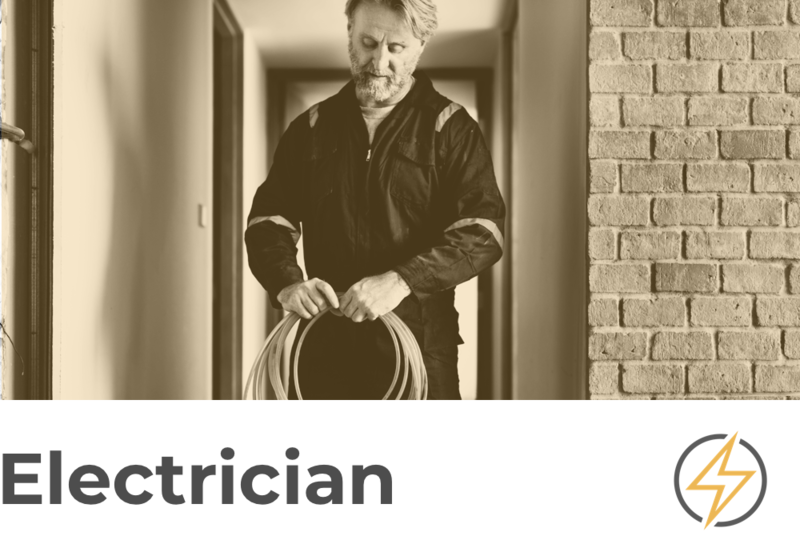 Without further ado, let’s look at what you need to do to become an electrician. You’ve got the power. Well, the answers to why electricity isn’t flowing, what needs to be done to wire a house, or how to fix the wiring of an old building. So yeah, you’ve got the power to create perfectly powered places. You’ll install and maintain the wiring for all electrical. You’ll be able to figure out any electrical issues and fix them to code. You’ll be fluent in reading blueprints and technical diagrams. Eventually, you’ll have an apprentice working under you who you’ll train to be as good as you are—or even better! You may have to collaborate with other skilled tradesmen and women on a project, so everything runs as it should. You make work solo or as part of a crew. Go: find a local electrician school. How Long Does It Take To Become A Licensed Electrician? Bear in mind that every state has their own actual requirements for licensing and such. However, much of the education requirements are the same across the country. Get yourself enrolled in either an apprenticeship or a training program through a vocational school or community college. If you choose schooling, many of your credits will roll over toward your apprenticeship. Also, you have to do an apprenticeship no matter what. It’s just not as easy to find one, so some budding electricians go to school while waiting for an apprenticeship to open up for them. Apprenticeships last four years, and you’ll complete 144 hours of school plus 2,000 hours of paid training per year. You have to get a license in order to legally work as an electrician. You’ll need to talk to someone at your state’s electrical licensing board to find out the logistics since each state operates independently. How Much Does A Licensed Electrician Make? An electrician can make a really great living. The midrange median annual salary is $54K, but your paycheck may look very different depending on where you live, where you work, your experience level, and what industry you’re in. It’s true that some electricians make as much as doctors—especially those who have their own successful businesses. The median high range, meaning some will make more, and others will make less, is $95K. There are an estimated 56K jobs that will need to be filled through 2026. Many electricians are reaching retirement age, which makes room for a new one to step in and fill that vacancy. Employment does vary depending on the economy and the state of the construction industry. Have an understanding of all the new technology, and you’ll be golden!